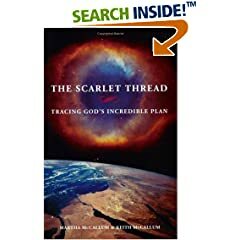 The Scarlet Thread describes God’s exciting plan for humanity which stretches the span of eternity past into eternity future. He is the Sovereign King of all Creation, working from a blueprint formed “before the foundations of the earth.” His Kingdom is a welcome alternative to the cold-hearted systems built by human hands, for those who take the time to understand it. A bird’s-eye view of history from God’s perspective for seekers or young believers with questions about God’s concern for our lives. Practical tools for the advanced Christian to effectively disciple, teach and witness. Credible answers to objections raised by critical minds. Read more about The Scarlet Thread at the NeoZine. Pingback: Remonstrance » who am i?